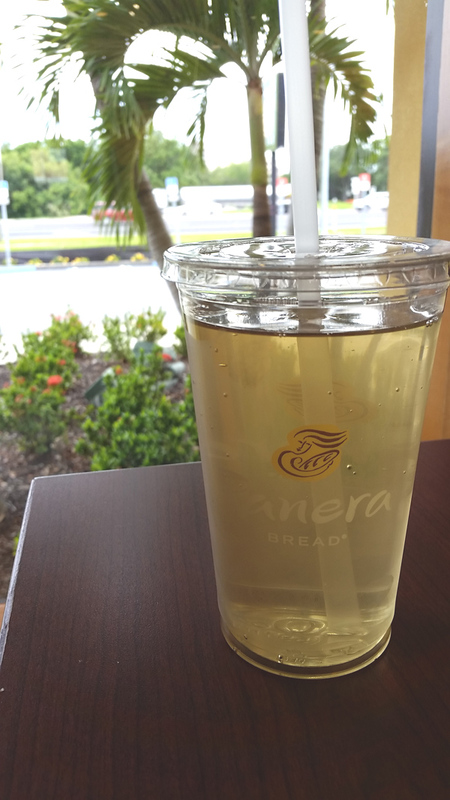 Tried a new tea at Panera Bread (ok, it may not be new, but it is a new tea for us). The HUGE poster just made this an easy choice for a no-sugar drink on this Panera visit. Of the many great things about this drink, the two major points that gets our full FIVE STAR rating is that the drink has NO SUGAR, and FREE REFILLS. The other great thing about this is the taste – a great light herbal tea taste, with no aftertaste. 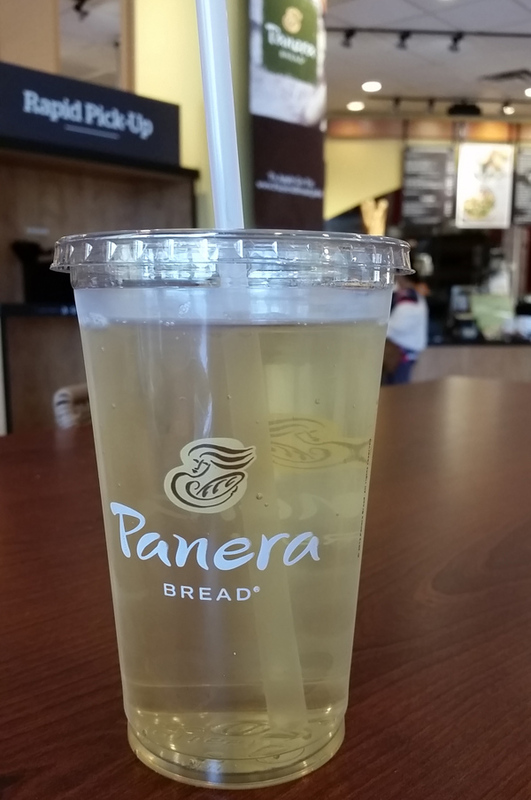 It also looks really refreshing in the clear plastic cup with the Panera Bread logo. but you can come close with the white tea blends they offer.